We know how challenging it can be nowadays to get the right present for a young one. However, some gifts make far better choices than others, and that makes sense both for the kid and for the parents. Today, we’ll look at several poor ideas that are truly bad choices. Of course, while the gift recipient might be thrilled to receive such things, the parent might find it a pain to deal with. 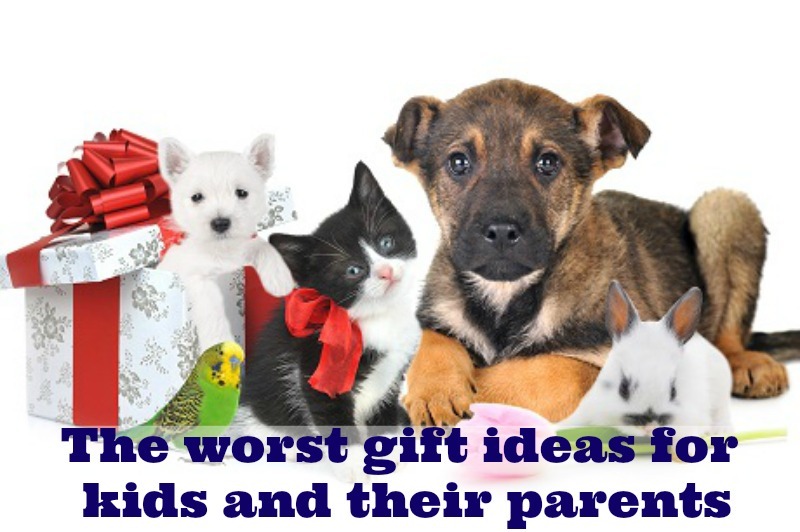 If you are not the parent of the child you want to get the present for and you’re considering getting them an animal; you first have to sit down and have a talk with the mom and dad. As you know, dogs and cats do require a bit of commitment, and so it’s likely that the parents will end up taking care of the creature and the child won’t, especially if he or she is too young to assume any responsibility in this sense. On top of everything, do consider that a pet requires a bit more in terms of expenses than a regular gift. For a dog, you need to get stuff like flea products, vaccinations, pet insurance, the right kind of food depending on the age and breed, a kennel, pee pads, cooling pads, and a lot of other things you might not foresee right now. All in all, a pet is considerably more expensive than anything else, and the gift recipient is the one who’s going to pay for all that. Whether the child is particularly creative or not, an electronic music maker might put some strain on the parents’ nerves. Some models can automatically turn on if they go un-played for a particular amount of time. That means that the house will wake up or people will be scared when that happens. Besides, you know how kids love to test the toughness of things and are musical, to say the least. What we’re trying to tell you is that they might love this kind of gift so much that they might end up stressing out the parents a lot. Of course, if a teenage girl is interested in makeup, she’s going to try a lot of things to get the perfect look. But sometimes, such passions can become something else. In fact, most every pastime is dangerous if it becomes an obsession. The point that we are trying to make is that it would be a bad idea to get one of the latest boxing games for Xbox for a child who spends a lot of his or her time in front of the computer already, and you know that mom and dad are trying to convince him or her to spend more time outdoors. Always consider the outcome of possible situations that your present might trigger. You don’t want to upset anyone, especially the parents because they are responsible of keeping the kid safe, happy, and healthy.